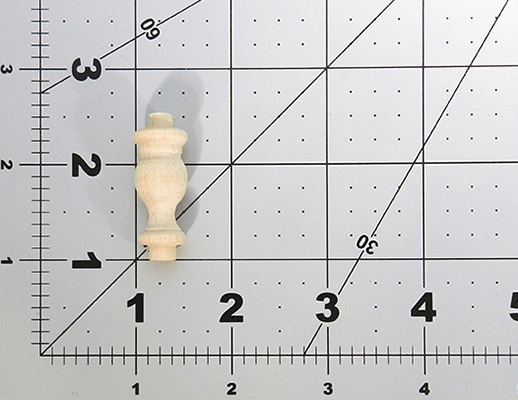 Maple Wood Gallery Spindles 1-1/2" x 7/16"
Our Gallery Rail Spindles are made in the USA of North American Hardwood. Each spindle is beautifully turned, smooth, and ready to use. 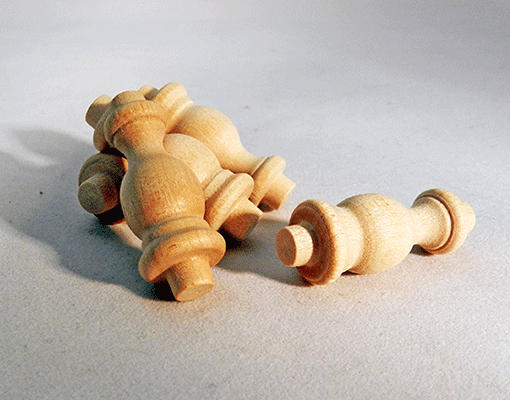 Choose hardwood spindles in Cherry, Oak, Maple and more. I was delighted by the speed of the delivery of these items I had ordered...it is for a project I will be doing this summer! They look of good quality also!